You never know when life will teach you a lesson when you least expected it. I was at the local Farmer’s Market in Homewood, Illinois, last Saturday. I was hoping to buy the last good peaches of the year. I surveyed the sellers’ wares, and nothing looked spectacular. I finally found a batch that appeared okay. I asked the farmer, a young woman from South Haven, Michigan, how the peaches were. “They’re good, last ones of the season,” she said. So I bought them. I took them home, left them out overnight and tried one the next morning. Awful. Mushy garbage. I threw them all out. I made a quiet vow never to buy another ounce of fruit from her again. It was not just that they were bad. It was that she had to have known they were bad, yet sold them to me with a straight face. I am a bit of a fruit fanatic. The next day I went to my favorite farmers’ market to buy apples for the winter’s applesauce. I went to my favorite fruit vendor, Mr. Hardin of Hardin’s Orchard, west of Kalamazoo. I bought a bushel and a half of apples from him and then asked if he had any good peaches. I’ve been buying from him for 10 years, and he always tells me the truth about fruit. If he’s selling blueberries and too much rain made them look plump and delicious he’ll tell me to wait a couple of weeks when the good ones will be ripe. Hardin knows his apples, and I rely on him. He told me his peaches were sweet and delicious, and they were. Every single one. He earned my business for another year. By the way, Hardin is the busiest vendor at the market every Sunday. It was a business lesson relearned on peaches. If you want long-term customers always be straight with them, especially the less-experienced ones who may not know what they don’t know. Don’t promise more than you can deliver. Mistakes will always be made. When Graff-Pinkert resells used machinery we do not get any guarantees from the people who sold us their no-longer-needed machine tools. Sometimes they answer us honestly if we ask the right questions. Actually, most people are straight if you know what to ask them and ask it in the right way. But at an auction rarely do the sellers volunteer information, particularly if it is negative. But if you are in the business of trying to develop long-term relationships you have to tell people when the peaches are mushy when you know they are. Question: What stories do you have about being duped? I have always said that the only thing that we have to sell is our credibility. It doesn’t matter how smart we are, or what secret knowledge we may have- if people can’t trust you- that information or knowledge is of no value. I stopped buying peaches at my local supermarket years ago. I’d buy a few great looking ones and they’d be a bit firm. They all seemed to rot from the inside out. 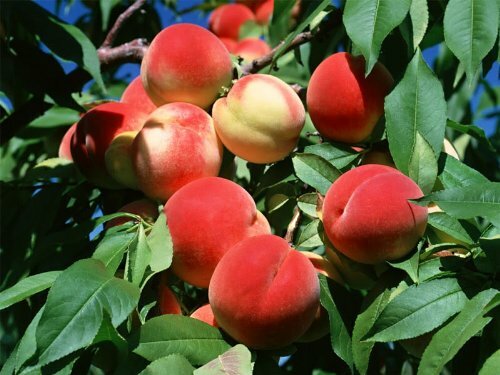 The last delicious peaches I bought were at roadside stand in South Carolina. Tomatoes are a real crap shoot too. I think they’re grown these days to be very firm so they can be picked by a machine. I don’t think the article was about peaches. Yeah….I know, but I like food topics! Also my response was related to an unsatisfactory experience at my local grocery. I was around 18 (1972) and I purchased a Gisholt turret lathe which was in a warehouse in TerreHaute for $500. The motor was missing. The owner said don’t worry, the machine ran great and he was using it in his production shop last week. Upon getting it home I discovered a hydraulic pump was also missing. Upon replacing it with what I remember to be an automotive power steering pump I discovered the cross slide feed did not work. Upon disassembling it I discovered the gears were stripped and there was sand paper left in the apron…. LOL……. This certainly is not the most expensive dupe I ever experienced however I’ve always wondered what sort of business man would would gyp a 18 year old kid for $500?? Lloyd and Graff Pinkert are in a difficult position. I have found sellers of used equipment to not always be truthful yet we expect a retailer of used equipment Like Graff Pinkert to be completely honest. In my experience I have found Lloyd & Rex to be as accurate in their descriptions of equipment as possible. Rex actually told me one time that he had discovered a crack in the frame of an Acme we were considering buying. Later on Rex told me they scrapped the machine. Great people at Graff Pinkert. They try to do the right thing to maintain long term relationships. Says a lot about a kid that got gypped so early that he has had a solid career in the machining business, and still considers used as an opportunity to discover value as opposed to uncovering doom. It takes 5 years to build a solid reputation & 5 seconds to ruin it. That could have been the female farmer’s first bad sell. Remember, first impressions can be a customers lasting impression.